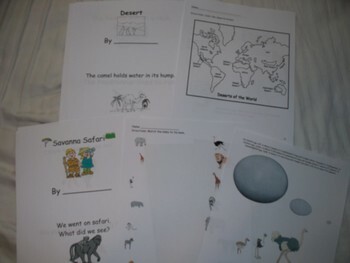 This is an 83 pages packet based around animals. 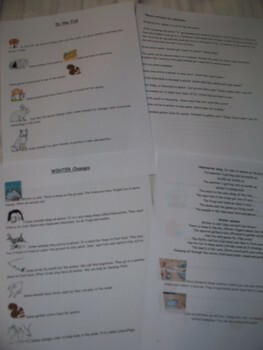 It includes, 4 posters/handouts of each season with various poems and activities for each. 9 Habitats mini books-arctic, rainforest, pond, ocean, savanna, farm, forest, swamp, and desert with pages to go along with each. 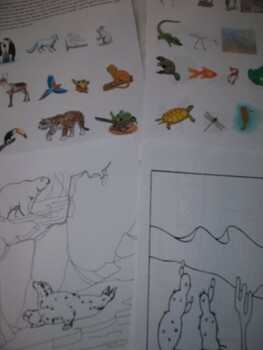 The above listed habitats pages, can be used as coloring pages or print out for center and use matching animals cards to place in correct habitat. 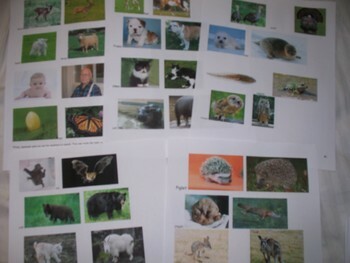 Parent and baby match cards for 20 different animals. This aligned to common core science standards.